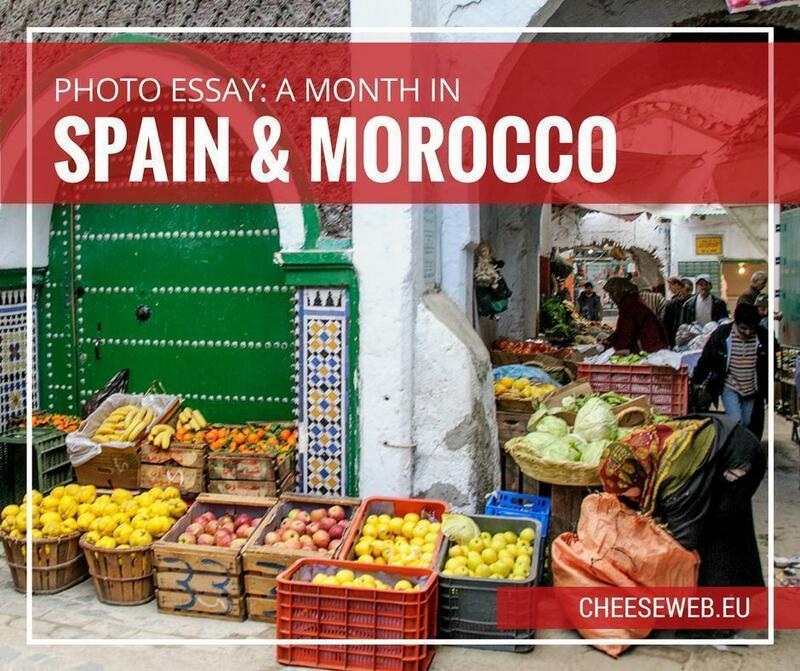 Sunday we returned to Brussels after a month-long experiment in working remotely in Andalusia, Spain and Tangier, Morocco. It was challenging and rewarding. We learned a lot and we have some big plans to share with you soon. As you can well imagine, we have plenty of stories and photos to share. 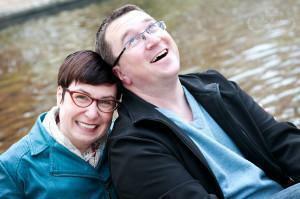 While we recover and regroup, here are a few of our favourite photos from our month. 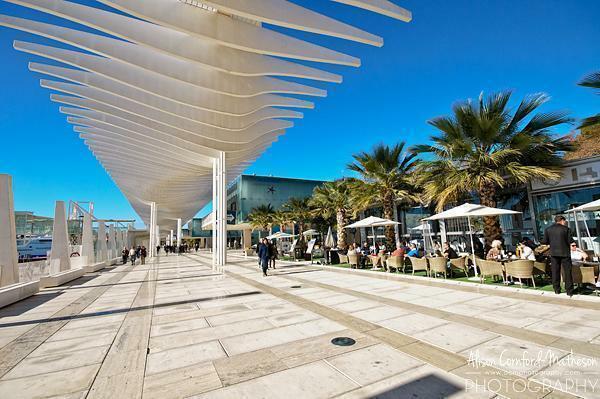 Andrew and I started our journey with a relaxing breakfast here in Malaga, Spain, before boarding the bus to Granada. 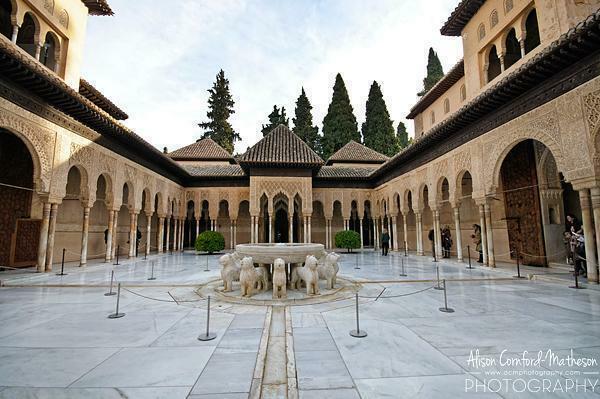 Even though I had already visited the Alhambra, in Granada, I was excited to see the lion fountain, which was being restored the last time I visited. 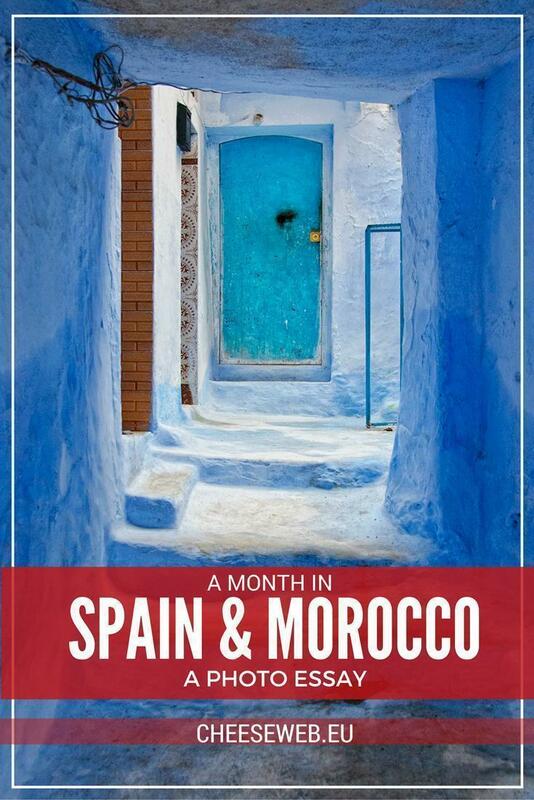 After a week in Granada, we boarded the train to Algeciras, where we would catch a ferry to Morocco. 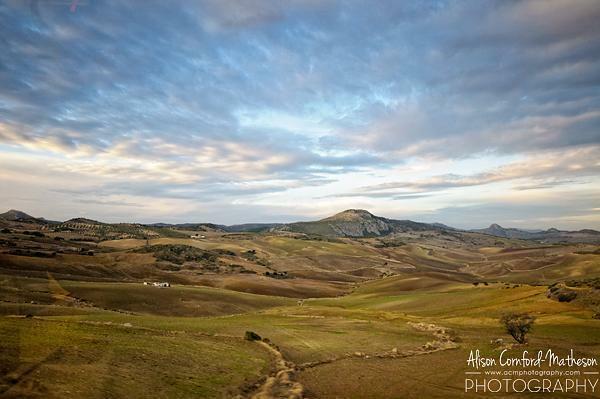 This view of Andalusia was taken from the train. Spectacular! 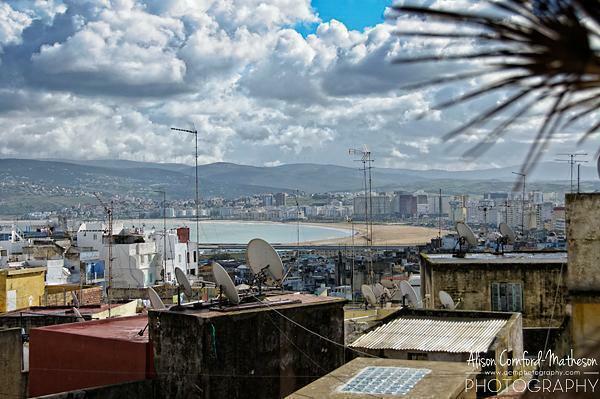 Our base for the next several weeks of work was Tangier, Morocco. This is a view of the city from our roof terrace. 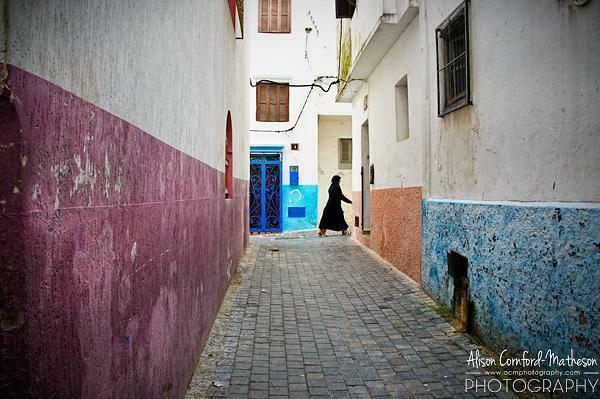 Tangier provided us with many challenges, culturally and otherwise. Even so, we were able to capture a few moments of beauty in our wanderings. There are cats everywhere in Morocco. 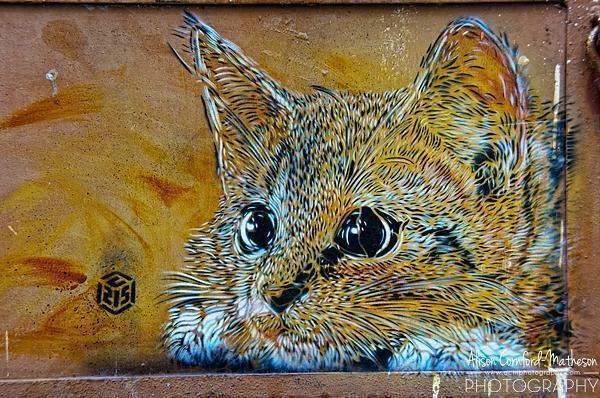 We even spotted some kitty graffiti in the Kasbah. 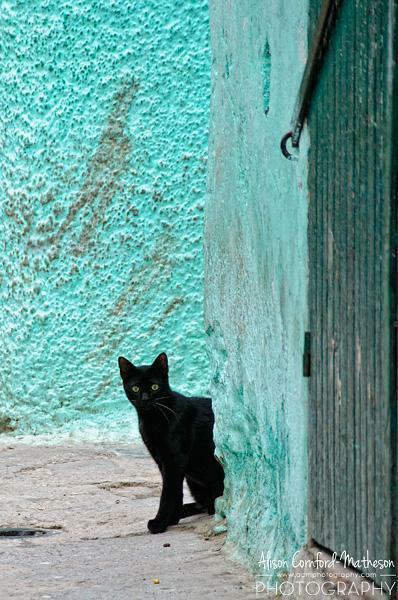 This little black kitten in Tetouan reminded me of our Buddy cat. 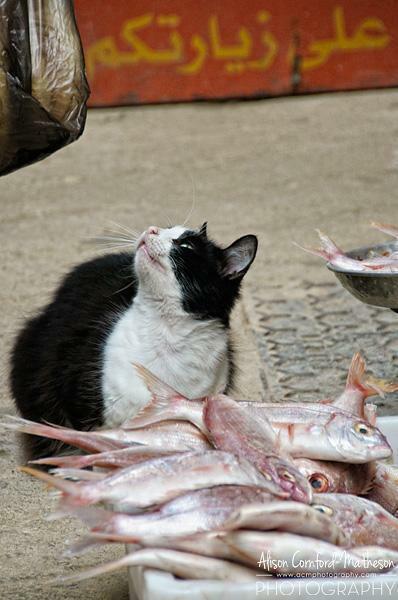 We couldn’t believe how patient this cat at a fish stall in the Tetouan market was. On the weekends we took a break from work and went on some day trips. 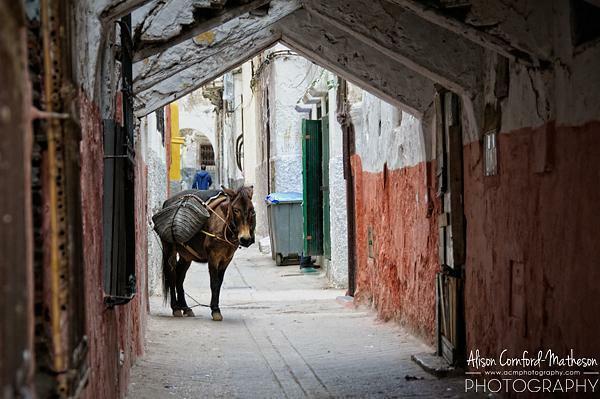 Our first was to Tetouan, where we spotted this ‘Berber Taxi,’ better known as a donkey. 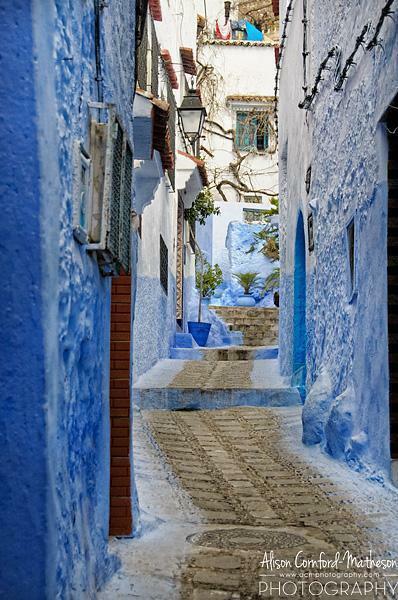 The tiny shops in Tetouan’s old town are colourful and varied. 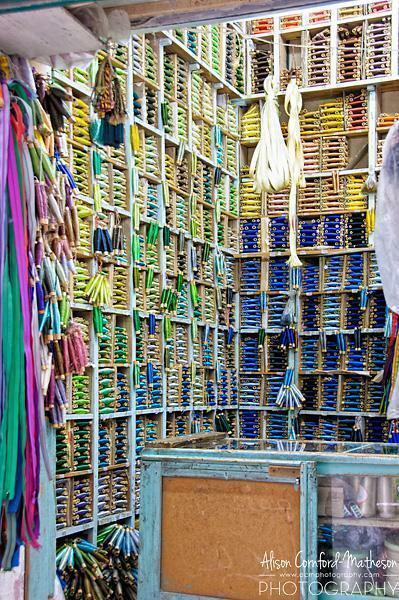 This shop sold nothing but thread and zippers. 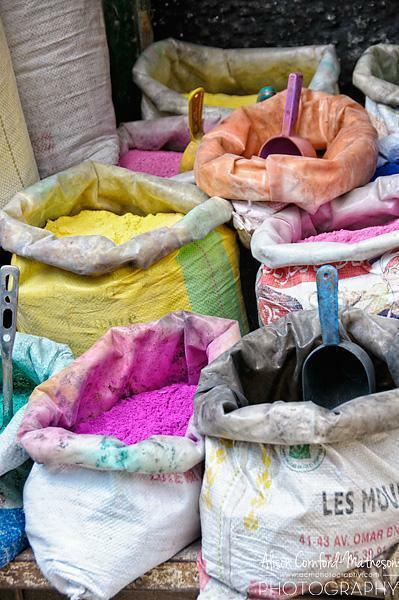 This colourful pigments are added to plaster and used to paint the walls of buildings. 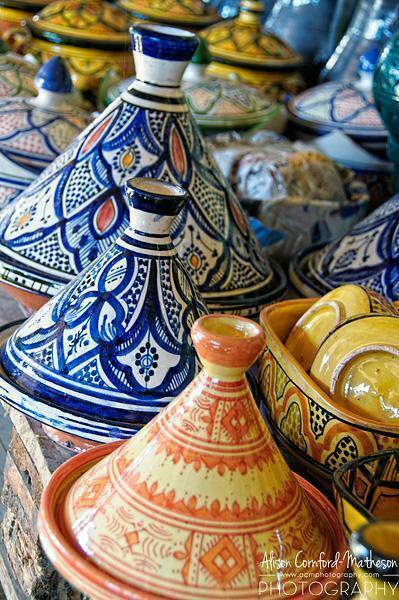 We spotted these colourful tagines at a roadside stand. It was all I could do to resist carting home armloads of pottery. 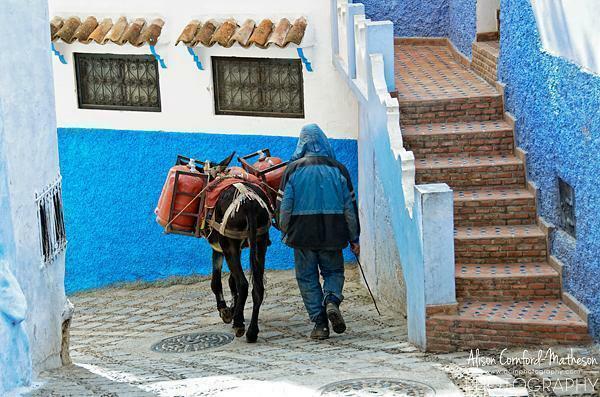 Chefchaouen also has its share of donkeys. This one was transporting propane tanks through the narrow streets. My one souvenir of Morocco was spices. 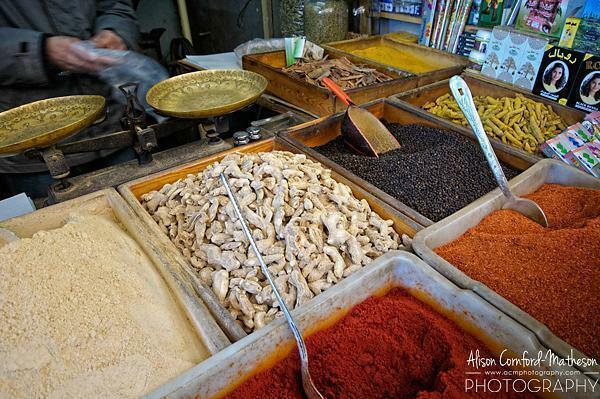 I loaded up at this spice stall in the souk, where the vendor weighed out my spices on his beautiful brass scales. 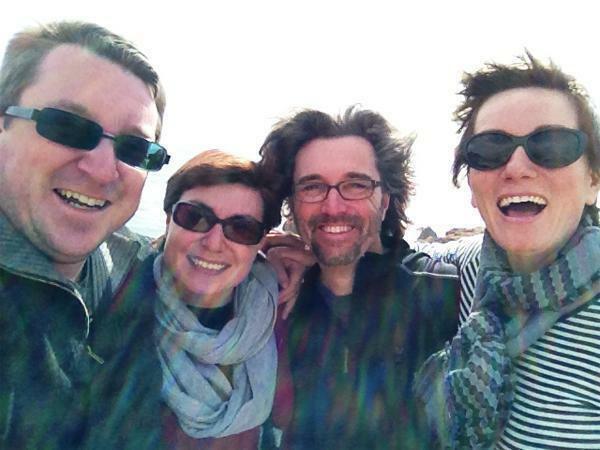 I’ll admit, we were pretty glad to board the ferry headed for Spain, at the end of our stay. 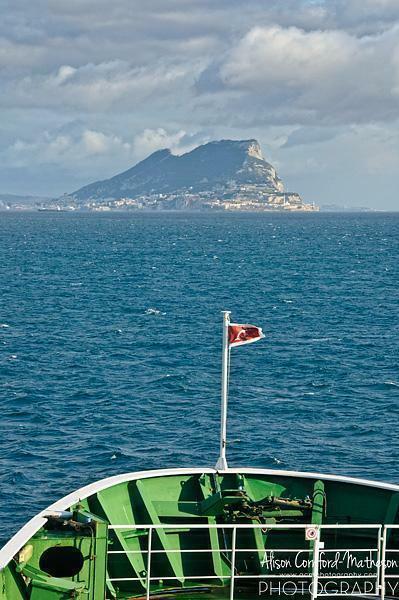 We were greeted with this gorgeous view of Gibraltar. 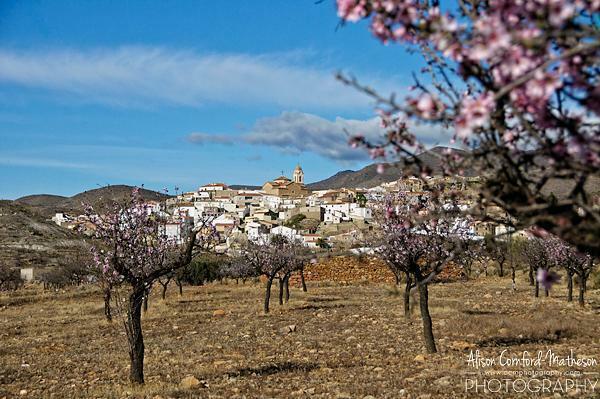 Andalusia welcomed us back with blue skies and almond blossoms. 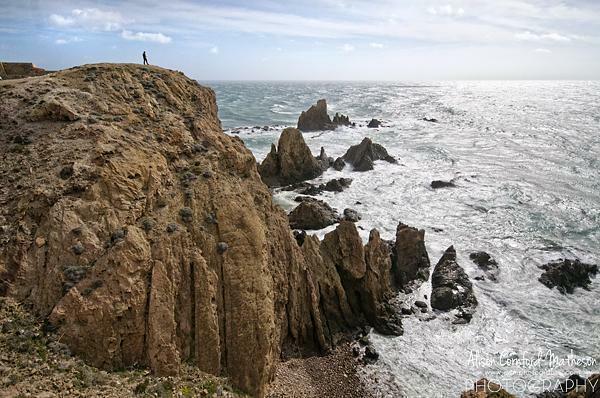 On our final day in Spain, we took a road trip to the Parque Natural Cabo de Gata where we had this dramatic view of Las Sirenas. Of all of the photos from our trip, this one is my favourite, taken on the very last day. After a month together, not always in the best of conditions, we are still smiling and laughing – proof that with great friends around you, you can tackle anything.